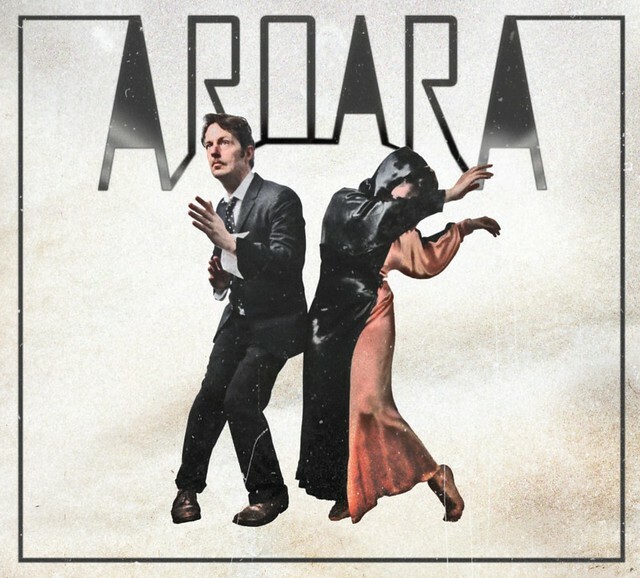 Here’s an extra Friday post on my new favourite band, AroarA. I feel as though my coworker that shares a wall with me has been tapping his foot along with me this week. Their Soundcloud page has a lot of page views and listen from me. AroarA = Andrew Whiteman & Ariel Engle. You probably recognize their names from Broken Social Scene. Here is a link to their website: website. 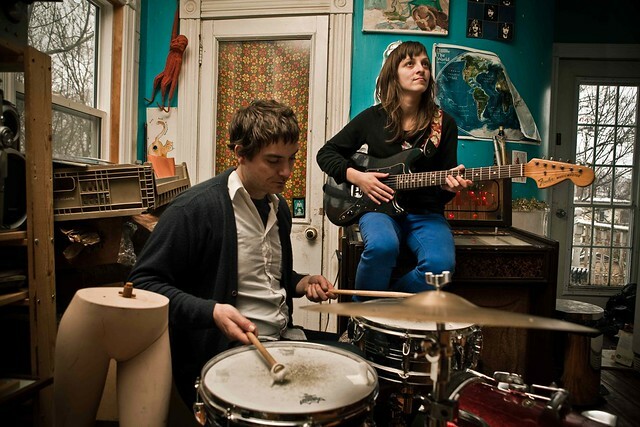 Here is post number 6 of the cute little interviews with bands playing Sappyfest – THIS WEEKEND! Keep up to date with tweets and Facebook posts from SappyFest. Hello! Tell me about your band and when you got together. We’ve been playing for a year almost. Our record “In The Pines” was recorded on a laptop in the country in Ontario. There are 14 songs corresponding to the 14 poems of american experimental poet Alice Notley’s book of the same name. There’s an e.p. and a full length of also the same name which comes out Aug 27th. They are stories of speaking to the dead and having them speak back. No one knows who they are – so its quite like real life. Sappyfest is a pretty incredible festival. 2013 has been OK for music. What are your favourite tracks so far this year? Savage Love, Kendrik Lamarr and four tet by Pink (me) and Stevie Wonder ( ariel ) and Unknown Mortal Orch. In your opinion, what is the Sappyfest “must attend set? AroarA is playing Saturday night at 1am after Construction and Destruction at the Vogue Theatre. Follow AroarA on Twitter. Like them in real life and on Facebook. Here is post number 5 of the cute little interviews with Maritime bands that I’ll be posting leading up to Sappyfest – STARTING TONIGHT! Adam and I got a few groceries last night to snack on this weekend, packed our bags and gave appropriate keys to family members to feed our kitties. Today is going to be a long day and I am JAZZED. 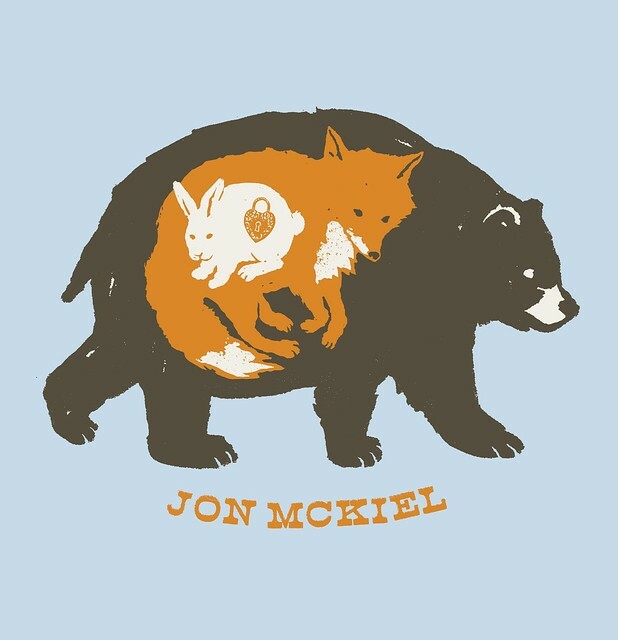 Jon Mckiel has been around for awhile. I remember seeing him tour through New Brunswick at the Capital in Fredericton and even at Elwood’s on Prince William Street. 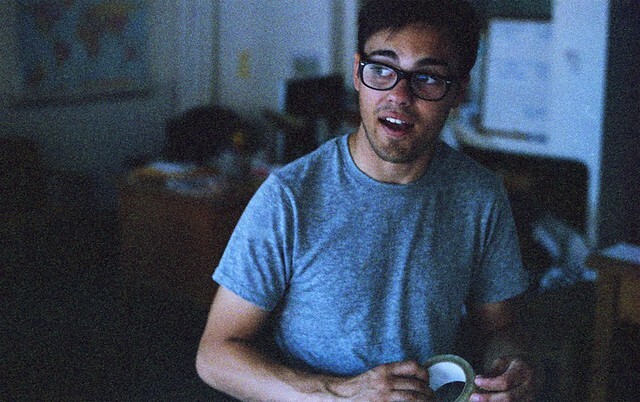 I’ve been listening to his bandcamp like crazy this week. I’m excited to see him this weekend on the mainstage. Just before Colin Stetson. Hello! Tell me about yourself and what you do. Hi! I am Jon, I like to play music and cook food mostly, I also draw hamburgers and geometric shapes and doodles. Mostly I create my own music, but have played drums and other instruments for various other bands. As a musician, where does your inspiration come from? What do you typically write most about? I mostly get inspired by other bands around me, likely due to proximity to something I can readily see and be involved in. There are some obvious inspirations like the Beatles or old garage recordings, mostly interesting productions, and good songs based heavily on constraint. grundy’s sappy songwriter in residence, in which he did a series of recordings while here in sackville. I’m doing a food truck, I’m excited about that, and just chilling out and making music and going to the beach and other summer fun. I have a small baby so that has been an adventure, i’m excited to show her the summer. The song “vision” by Monomyth comes to mind, also cousins and construction and destruction did a split, the song “dark lark” on the C&D side is a favorite. I have to go with the Underachievers (Saturday, Mainstage, 10pm), or Shotgun Jimmie (Saturday, Mainstage, 9pm), or Construction and Destruction (Vogue Theatre, Saturday, Midnight), or Old and Weird (Saturday, 5pm at the Legion), or Heaven for real (Sunday, Midnight at the Legion). Those sets are mandatory attendance. Jon Mckiel is playing Sunday on the Mainstage at 8pm. Follow Jon on Twitter. Like him in real life and on Facebook. Here is post number 4 of the cute little interviews with Maritime bands that I’ll be posting leading up to Sappyfest this weekend. It’s so real now! Adam and I are making grocery lists, coordinating carpools and (Adam) is restringing his bass. Did I mention he’s playing Sunday afternoon? I am so pumped to enjoy a Sappyfest set where he’ll be playing on stage. I remember hearing Shotgun Jimmie for the first time. It was like someone was reading my mind for the type of music I needed. Fun, flirty (I hope he doesn’t had that I described his music that way) and truly “road trip worthy”. His album Transistor Sister (streaming in its entirety, here) has been my summer anthem. Since 2011. Hi i’m Shotgun Jimmie. I live in Brandon Manitoba. I’m a recording artist, songwriter and performer. Mostly I write about my day to day life, spaceships, mountain quests, life and love. The last record I played on was The White Album put out by The Beatles. My favourite track on the record is the second one because I wrote it. The album is about to explode and set fire to your ears and so on. It was recorded in all of our hearts. I can’t confirm that SJ didn’t play on the White Album… but I know he put out this record recently. I’m really looking forward to reuniting with old friends and making new ones. Sappy rock and roll summer camp. I’ve been really into Doug Houyer’s album “To Be A River“. He is from Edmonton and he is great. 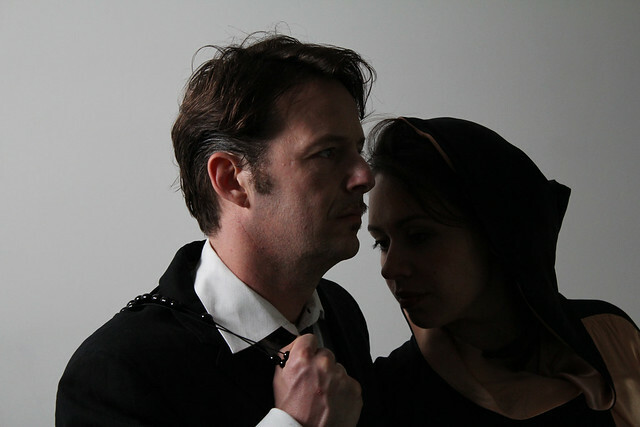 Construction and Destruction (Saturday, Midnight, Vogue Theatre). 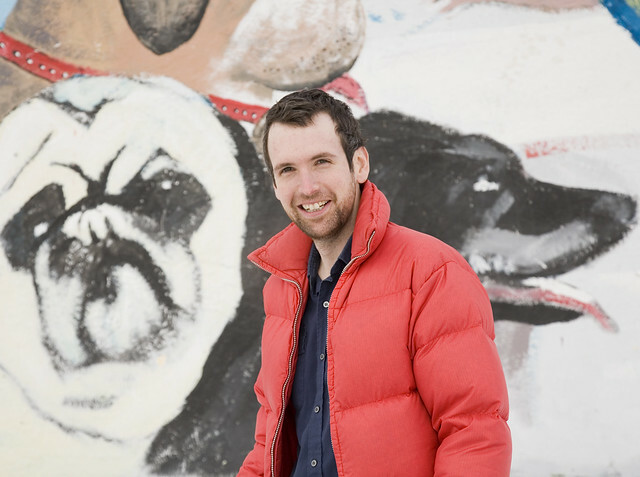 Shotgun Jimmie is playing Saturday night on the Mainstage at 9pm. And here’s my favourite Shotgun Jimmie song, in video form. 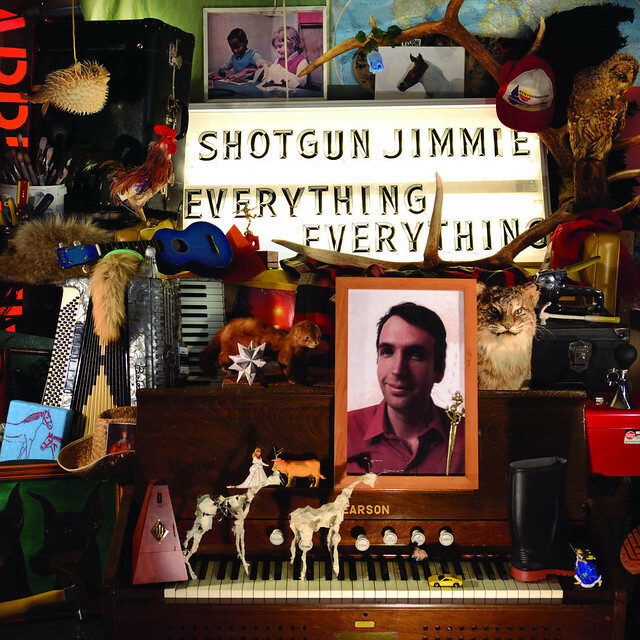 Follow Shotgun Jimmie on Twitter. Like him in real life. Sappyfest starts FRIDAY and every day that passes I am getting more and more excited! The weather forecast is pushing off and it’s only calling for a “chance of showers” on Saturday and Sunday instead of a full blown rainstorm. Thank you, weather. Here is post number 3 of the cute little interviews with Maritime bands that I’ll be posting leading up to Sappyfest this weekend. Even though Old and Weird started in Halifax, I still feel a bit of hometown pride toward the band. Any band with a Saint John connection get a thumbs up from me. We thought we met at NSCAD and in Halifax as adults but I actually found a photo of all our moms at Java Blend in 1988 very pregnant, which is weird because Sandi is older, but still. 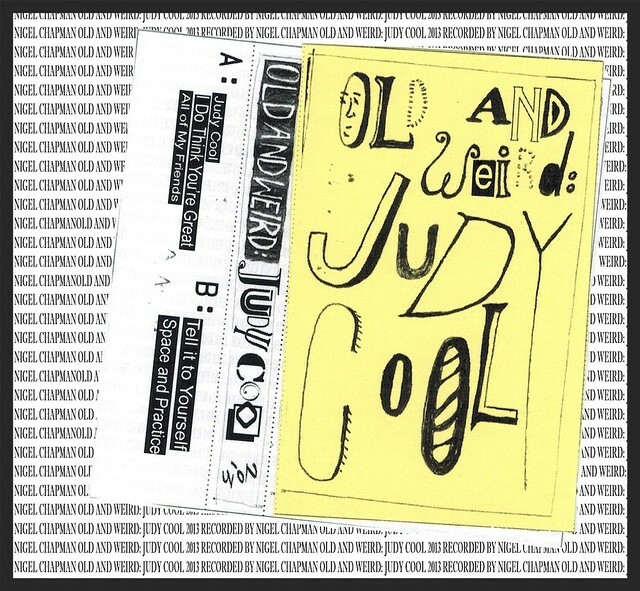 The last record we put out was Judy Cool. It was recorded with Nigel Chapman at his home and a bit with Charles Austin at Echo Chamber. The record is about social situations, things ya do, yourself in relation to the world. Hole-ly shittt. Sappyfest is a pretty incredible festival. 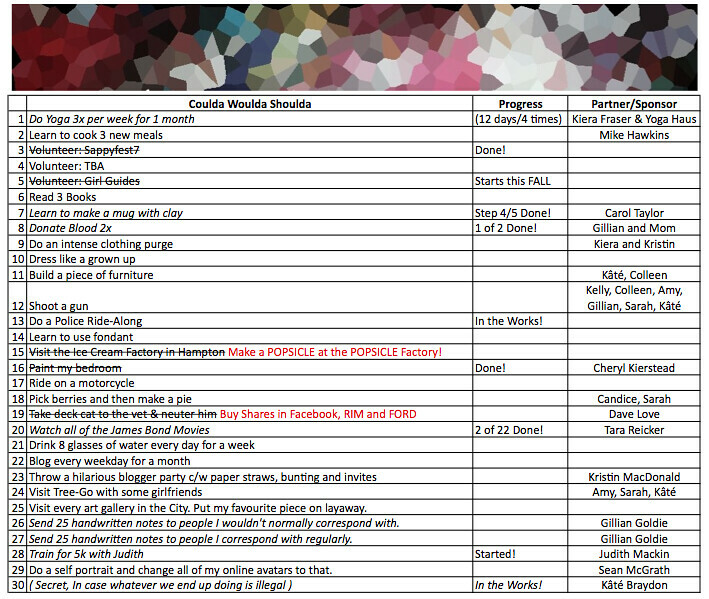 What are you most looking forward to about Sackville this summer? We’re excited for The Underachievers (Saturday, Mainstage, 10pm) and Naomi Shelton & the Gospel Queens (Sunday, Mainstage, 11pm). 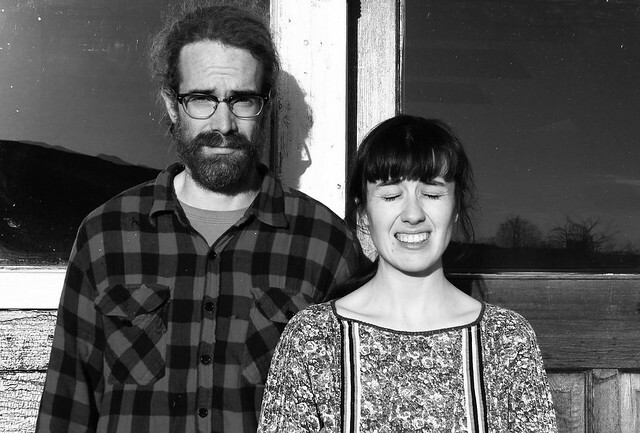 Heaven For Real (Sunday, Legion, Midnight) and Shotgun Jimmie (Saturday, Mainstage, 9pm) are always really fun. Just looked up Chain and the Gang and Rabbi Wolf and now I’m like hole-ly shittt. 2013 has been OK for music. What are your most played tracks in the tour vehicle so far this year? In Alli’s car (we just got back from tour) we listened to Live Through This (HOleyyy shittt) almost too many times. TLC’s CrazySexyCool, the new Nap Eyes opus, our own tape ooopppsus. In your opinion, what is the Sappyfest “must attend set”? We are excited for the early riser panel discussion on Sunday. After that, there is a kid’s jam in Alli’s bellybutton. JK, all day everyday at Sappy. Old and Weird are playing at 5pm on Saturday at the Legion with Moonsocket. And we’re one sleep closer! Sappyfest starts Friday in Sackville, NB. Joel Plaskett is kicking off the event at 7pm on Bridge Street. Joel Plaskett, you guys! Here is post number 2 of the cute little interviews with Maritime bands that I’ll be posting leading up to Sappyfest this weekend. Among the bands I’m excited to see this weekend are Construction & Destruction. They’re playing at midnight at the Vogue after a full Saturday of music. Hello! We’re Construction & Destruction, or Dave and Colleen. We’ve been working together as C&D since 2005-ish, and we’ve been together together for 18-ish years. Drinks and vigorous outdoor conversation with friends, to rigorous good music, and mosquitos! Waving At Ships from Construction & Destruction on Vimeo. What are your most played tracks in the tour vehicle so far this year? Construction & Destruction is playing Saturday night at the Vogue Theatre with AroarA. SappyFest is coming. It starts this Friday in Sackville, NB. The festival takes over Bridge Street for 3 days and features headliners like Colin Stetson, AroarA, Chad Vangaalen, Chain & the Gang, Joel Plaskett and Sarah Neufeld. It is seriously the coolest festival around. Wonderfully curated. Totally unpretentious. Denim and band t-shirts and Chuck Taylors and Ray Bans. I’ll be loading up the blog this week with a few cute interviews with Maritime bands, perhaps an outfit post and definitely a link to the sweet Sappyfest sampler that you need to download IMMEDIATELY. Actually, do that now. ( <– click ) Keep up to date with tweets and Facebook posts from SappyFest. 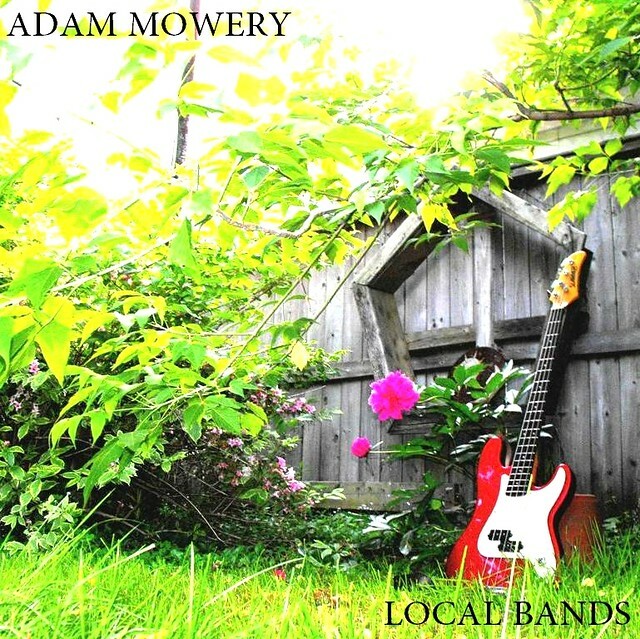 Today I have a fun feature on your friend and mine, Adam Mowery. I love this guy. I’ve been a fan of his music for years and years. Hi Adam! Tell me about yourself and what you do. Hi! Well, I’m an experimental songwriter from Atlantic Canada and I’ve been playing shows and releasing my own DIY pop records since around 2000, as a solo artist and in bands like The Grubbies, Wooden Wives and Port City All-Stars. I’ll be playing Sappy with my long-time backup group, The Giants of Industry, and basically we’re a three-piece rock’n’roll band. We play short songs very loud, and on a good night the energy is contagious, bud. That’s a good question…umm, I guess life experiences and places. I think a lot about my youth, I don’t write explicitly about specific events, y’know? But I try to use images and memories from youth and flesh it out until I find something interesting in those old experiences. But to be honest I’m influenced by all sorts of things, I devour magazines and old records for material all the time, and really, admiring my favorite artists, musicians, comedians or whatever, that’s what inspires me to create my own songs and records. I’m also inspired by the thought of one day having a robust and exhaustive body of work. The last record I played on was LOCAL BANDS put out by my own label, Dog Songs. My favourite track on the record is Local Bands, the title track, because it’s about my life in Saint John, NB, where I lived for many years and played shows. The song explores those weird, dull, nights of hanging in bars for basically no money with yer friends. It’s an album about frustration and defeat but in the end enthusiasm and cartoonish optimism. It was recorded for the most part in Saint John, NB at the old jamspace there, largely with my friend and frequent collaborator Pierre Cormier. But about half of the record was recorded at my home in Halifax, on 4-track and with several home-recording programs. 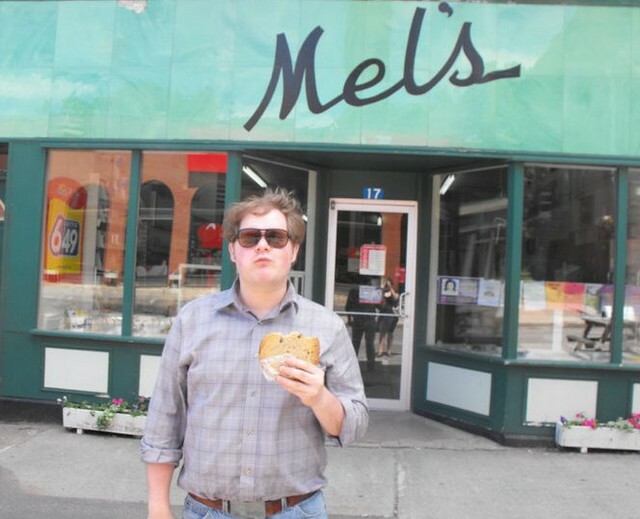 Adam, outside of Mel’s. Stolen from his Facebook profile. A milkshake at Mel’s, mostly. My favourite track so far this year is by a Halifax psych group called Walrus. I try and see them whenever they play around the city, the track is called “1990”. You can dig it here: http://walrustheband.bandcamp.com/. I find its kinda got a Brian Jonestown vibe, and yeah, they are one of the best bands in the city to catch live, like for reals. The record I’ve listened to the most this year though is Mike Nesmith’s Magnetic South. Mike was always the best Monkee, I thought and Magnetic South is a great summertime record, it came out in July of 1970, and its kinda like an alternate universe Gram Parsons experience. So yeah, if you wanna dig through the record bin for some classic summer jamz, I highly recommend Mike Nesmith’s Magnetic South, I bet you could get the LP used for a dollar. Think cosmic country music, kids. Easy, KAPPA CHOW at the Legion Saturday night. But also, don’t miss Monomyth (Sunday, 5pm at the Legion), Old and Weird (Saturday, 5pm at the Legion) or Shotgun Jimmie (Saturday, 8pm on the Main Stage), either. That’s just common sense, bud. 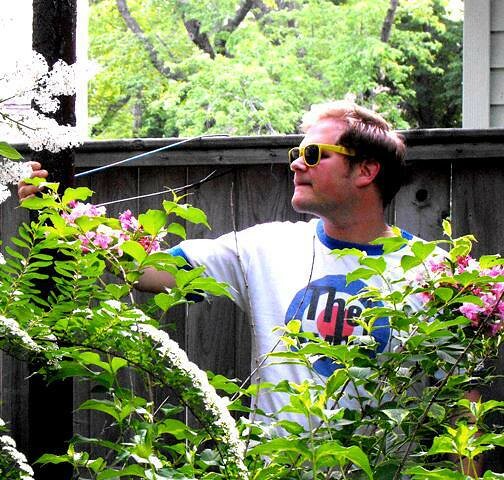 Adam Mowery and his Giants of Industry are playing Sunday night at the Legion with Monomyth. Update #4, better late than never! I’ve been having mini panik attacks thinking about how much (or how little) time I have left. August 29th marks day 40… what am I even worried about!? Per normal, if you want to do something with me – drop me a line! My Yoga challenge comes to a close this Thursday. I’ve been to 11 classes and feel great. 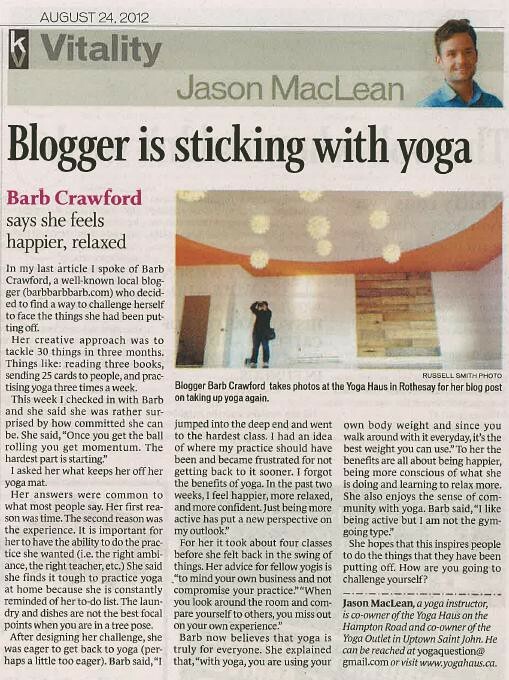 Jason MacLean interviewed me about my progress last week. The article was in KV Style last Friday. Why can’t I bind my arms behind my back? How can I get my left or right foot from a forward fold position to be in a long lunge position in one step? Does this mean that I’m doing Downward Dog wrong? My Volunteering quota is filled! Girl Guides this fall, Sappyfest merch table at the beginning of August and now, I am officially a Dragon Boat pro. OK maybe not a pro, but I have just competed in my first Dragon Boat Festival in Renforth as a member of the CBC Airwaves. I basically fulfilled my lifelong dream of being friends with Hance Colburne. The CBC Airwaves placed 25th out of 55 or so teams. Not bad, but not good enough to make the semis. Don’t talk to Chuck Teed about this, those wounds will take a while to heal. BUCKET LIST ITEM #6 – Read 3 Books. 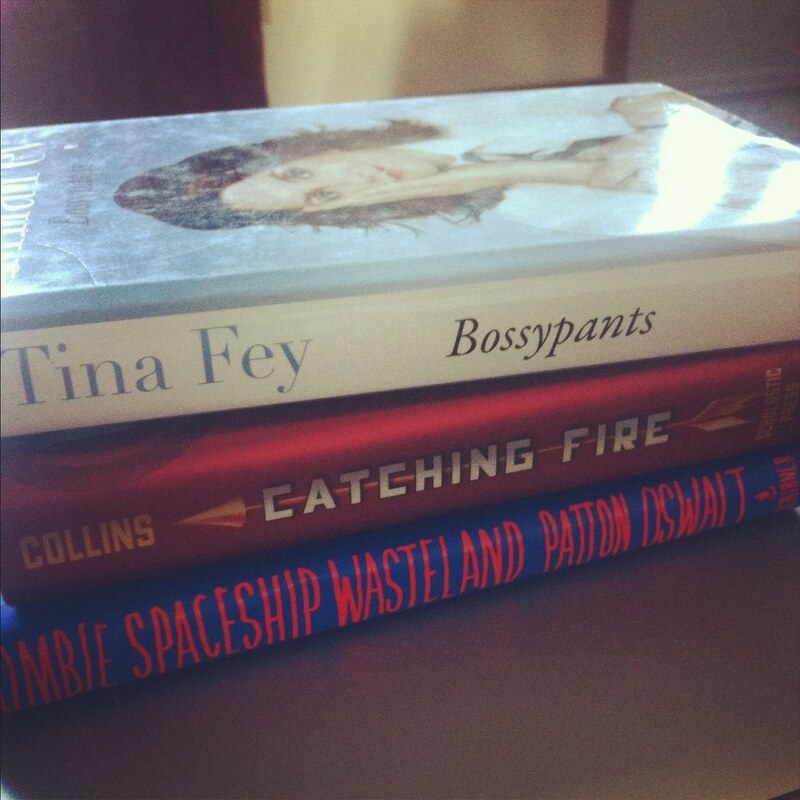 I’ve picked my books and am halfway through Bossypants. Tina Fey is hilarious. Adam suggested that I continue to read essay-style books to compliment my short attention span. Do you have any recommendations? BUCKET LIST ITEM #11: Build a Piece of Furniture. I have no idea why I added this to my list. Do you think IKEA furniture will count as building something? Gillian and I have purchased Fondant and plan to use it very soon. 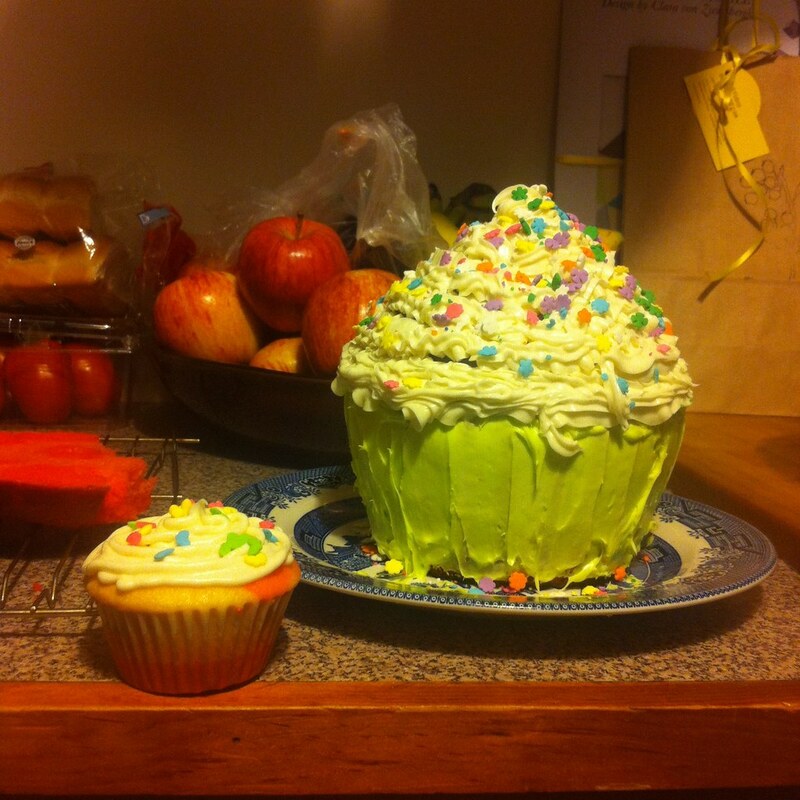 The original plan was to use the fondant for Stella’s first birthday cake… but we weren’t sure that fondant would fit over a cupcake shaped cake with ease. I’ve removed this from my bucket list. I’ve replaced it with: Purge my home. Again. There’s nothing worse than a house full of stuff you don’t use. I hate when friends come over and I have more than 10 minutes worth of cleaning and tidying to do. BUCKET LIST ITEM #18: Pick berries and then make a pie. I totally dropped the ball on this one. Blueberries were 2 weeks early (and therefore, basically done) and I missed raspberry season altogether. Maybe I should change this to “pick a pumpkin and make a pie”. BUCKET LIST ITEM #19: Buy shares in RIM, Facebook and FORD. My dreams have been recently crushed. 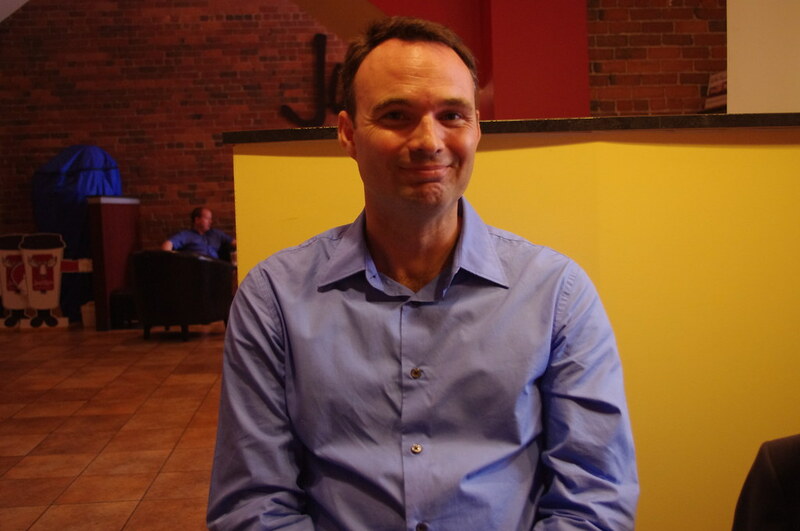 I met with David Love from Investors Group. Turns out that since I’m not a millionaire, it costs me about $10,000 to open an investment account. I’m taking referrals to rich aunts you might have that already have investment accounts. I’m getting the hang of this water thing. I think that practicing yoga and sweating like a crazy person has really made drinking water a necessity. Do you have any tips for maximum water drinking? WooHoo! Heading to TreeGo in September with 3 of my favourite ladies! I have to admit, I’m a little worried about how my core is going to react to a day of holding on for dear life! The design is DONE! Gillian Goldie is such a professional. I sketched out an idea that was going through my mind and she created the perfect image for my postcards! Advocate Printing is whipping them up this week and my pen hits paper this weekend. Stay tuned, one may be coming to a mailbox near you! Sean McGrath and I have been shooting emails back and forth brainstorming my portrait idea. I am really excited to create it. I may need to borrow a backdrop, a stool and an insane circus getup. The circus getup was a lie. I’m finding that the more I read blogs, surf Twitter accounts and even interact with co-workers… I really want to know what people look like. I can imagine that half of the people that read my blog wouldn’t recognize me if they tripped over me. I’m about to change that! Here’s the updated list. Please let me know if you’re up for doing anything awesome! 24 days into my self imposed “Bucket List Challenge” and I’m feeling good, albeit a little tired. I’m 1.5 weeks into my Yoga challenge and it’s going great. I’ve been to 4 different classes; Yin, Hatha, Heated and Non-heated Vinyasa. My first class back to Yoga in a long time was the non-heated Vinyasa… and it was HARD. I think that my mind was a little over-zealous and I was trying to get back to where I knew I was before. Big mistake. About halfway through the class I felt like (I can only assume) runners feel after exerting themselves too hard for too long. I backed off a bit and the class became much more enjoyable. Listening to your body is an art and I’m getting a little better. The heated vinyasa class I attended last Thursday was so great. I hope that you’ll join me this Tuesday or Thursday evening! 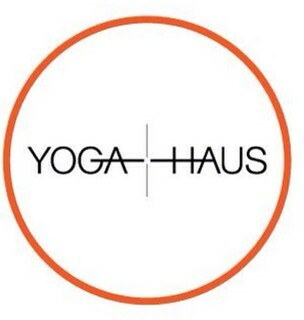 For the Yoga Haus schedule, click here. As I discussed in “#30in90 Update 2“, my name is in the hat to volunteer with Girl Guides this fall. I’m ecstatic. 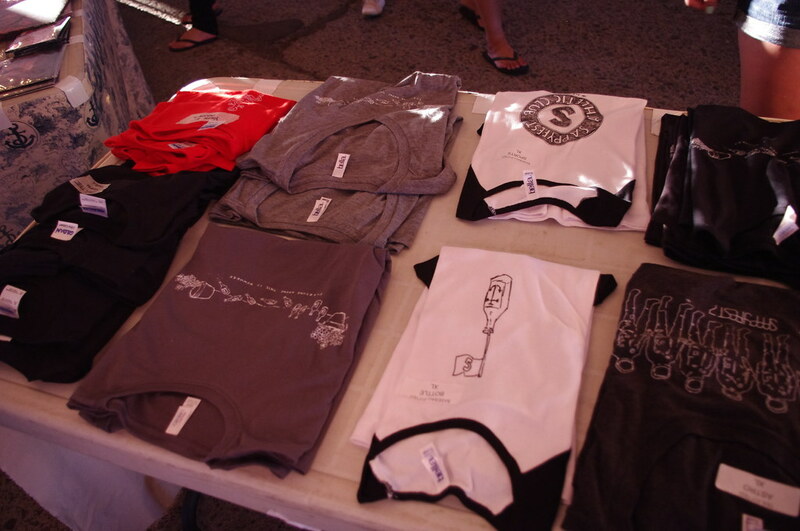 I spent last weekend in Sackville volunteering at the Sappyfest merchandise table. What a BLAST! I love helping with anything OVER planned. Every detail was thought of from the selling sheets being already prepared, to the t-shirts and tank tops being pre-taped and labelled. What a TREAT. My last volunteer space is TBA. I’ve sent out a few feelers, we’ll see where that takes me. I have started and finished zero books. I’ve sent the appopriate e-mails and have gotten a great response. That’s not a “no”, right? This was actually quite disappointing. I hope my girlfriends are ready a little early. CBC informed me this week that blueberry season is 2 weeks early this year… which means I need to get my knee pads out and get PICKING! MarthaSewart.com says I need 8 cups of blueberries. Oh boy. This has been a really tough decision for me to make, but I’m taking this off my #30in90 list and replacing it with something else. Adam and I take our awesome cats to the Fundy Animal Hospital, just off Rothesay Avenue. They are amazing people and have treated our family extremely well over the course of the last 6 or 7 years. Because “Baron” is a stray… it’s possible that he might have some, ahem, diseases. If this is found to be the case on the OR table… then he may need to be put down. I’m not willing to cut his life short because of some little dream I have. “Baron” isn’t my cat. Instead of neutering him, I’ll donate and equivalent amount of money to spay or neuter a cat to Ca-R-Ma. I’m 2 films in to the 22 film series. 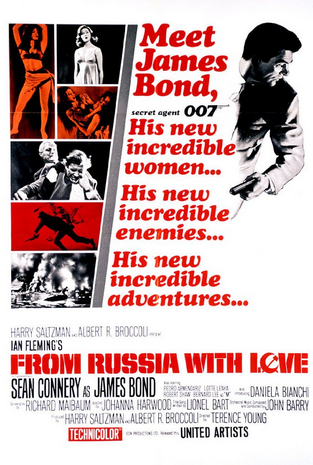 I’ve watched “From Russia with Love” and “Dr. No” so far. Be prepared for a text meesage along the lines of “come over and watch ________ with me”. As an active blog follower… I can’t help but be a little jealous every time I see a party post. I would die to be invited to a party complete with paper straws, bunting, paper invitations and a candy buffet. I’m making my dream a reality. 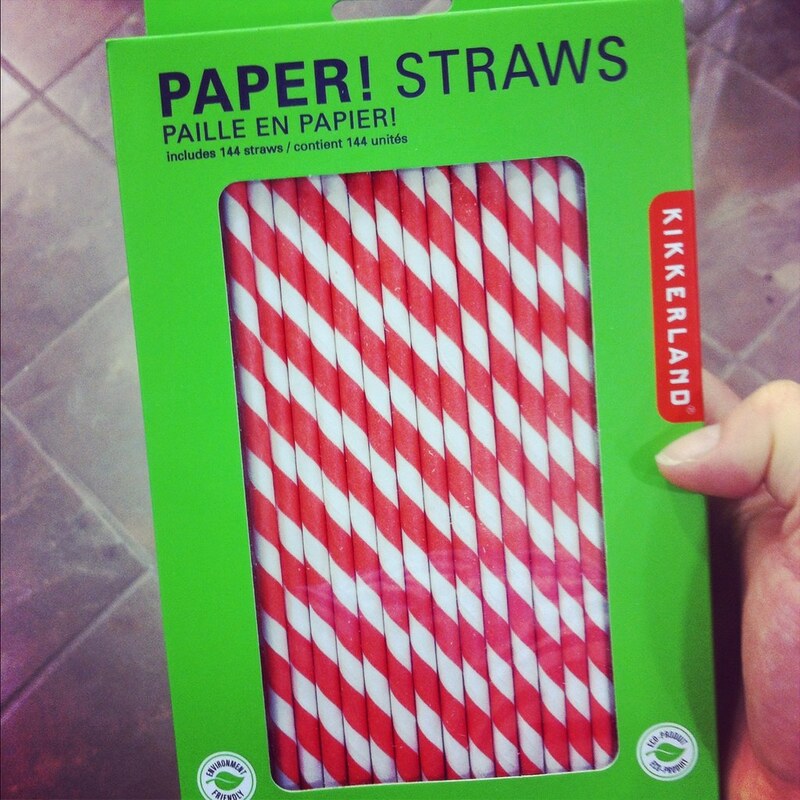 I picked up these paper straws on the cheap Friday in Moncton. My party “to do” list is one item shorter. Step 1 of 4: I’ve sent the annoying Facebook message asking for addresses. 35/50 are back! Step 3 of 4: Purchase some stamps. I wonder if it’s too late to do this: Custom Stamps. Step 4 of 4: Lock myself in a room and start writing! Every morning last week (Well, starting on Tuesday and with the exception of Friday due to work commitments) I’ve been meeting Judith, Macey and Scout at Rockwood park for a 45 minute walk & talk. 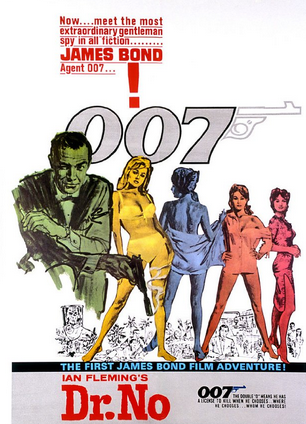 Over the next few weeks we’ll be “upping the ante” to a walk/jog and the eventual “run”. Getting up early is turning out to be a good thing! 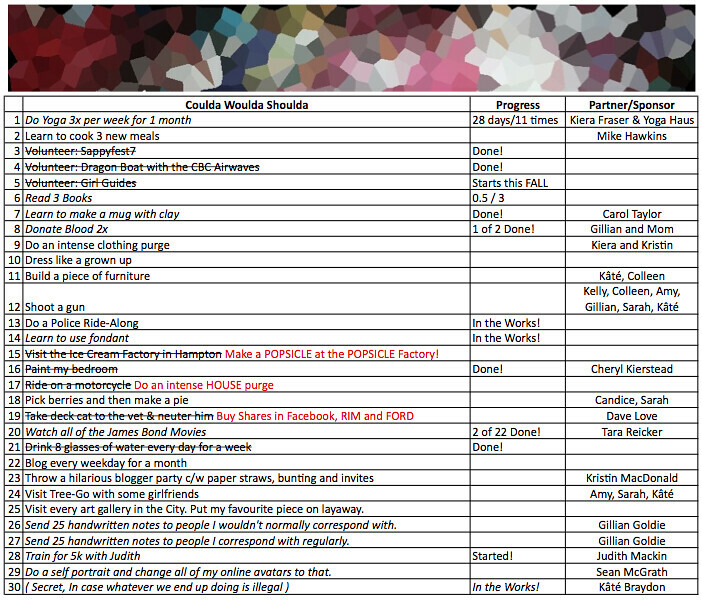 As always, if you’re up for joining me on any of my #30in90 items, comment on this post! It might give me the kick I need to get going! I’m on my way to Sappyfest7 in Sackville as soon at the clock strikes 4pm! I can’t wait! Since attending the full festival last year, I haven’t been able to get it off my mind. It’s such a perfect festival… unlike any I’ve ever been to. I’ll be spending the weekend volunteering at the merch table, sitting by the swan pond and taking in a few of my favourite bands with a few of my closest girlfriends. It’s not too late to grab a ticket. Check out the schedule here and hopefully I’ll see you there! xo!